Garmin makes some very compelling outdoor smartwatches, and one of its best models from 2016 is currently the beneficiary of a Black Friday deal over on Amazon - you can now pick up the 735XT GPS for £306.01, which is a drop of £53.98 or 15 percent. For your cash you get a watch that's got a lot of tricks up its sleeve (or rather up your sleeve). As well as integrated GPS, it's water resistant down to 50 metres, and on top of tracking all the basics like steps and distance, it can also show simple notifications from your smartphone. 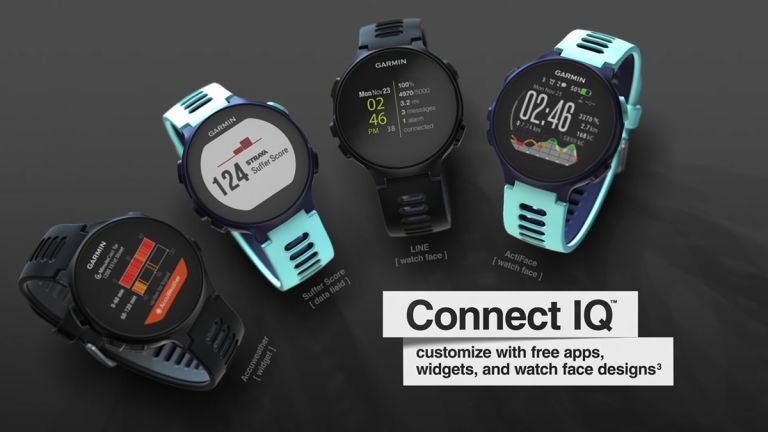 Just about all the tracking features you could possibly want, whether you're running, cycling or swimming, and now available for just a fraction over £300. Fork out a little extra and you can get integrated heart rate monitoring as well, if that's important to you, and in total you've got four different models to pick from. Whether you're a runner, a cycler, or a swimmer, the Forerunner 735XT can help you get to the next level. While it has been supplanted to some extent by more recent wearables from Garmin, the Forerunner 735XT is still an excellent smartwatch, especially when Amazon is offering these kinds of discounts. It can work with both Android phones and iPhones. The Black Friday deals continue to pour in today - we've collected the best here.